Also, as my aprons are now being sold in a local store, I thought it would be nice to try out some different patterns.� I had been told it would be nice if I could do matching aprons.� One for Mom (or MawMaw)and one for�a little girl.� I found a pattern I like pretty well.� Here is a picture of it. Not exactly what I was looking for but a good place to start. I think I’ll go check out my machine.� Take care and God bless. Oh how fun to take the girls. I was looking into that this morning. 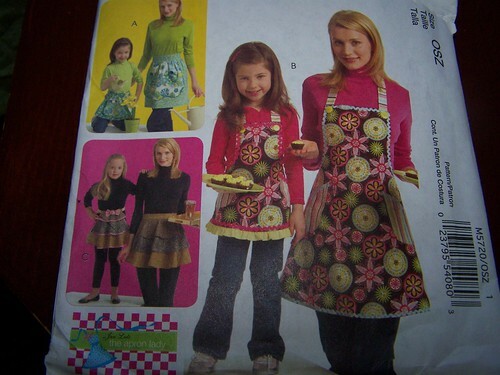 I like the aprons. I have made my girls some for their hope chests. I should make a couple more for them. I have three and I do use them all. We are having more snow today, over 3 inches. We will stay home tonight from church. I have heard so many moms talking about how much they really enjoyed the movie. We might try to take ours to see it during the Holidays. I love the fabric and pattern. I think they’ll look great together. I have a spron pattern I have been meaning to get to and make. Hopefully this winter I can do that. Those are great patterns and I love the fabric too. Glad you made it to the movies to see Narnia. Maybe we will get to go together sometime too. 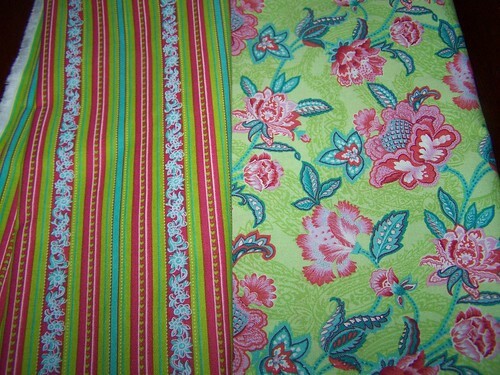 I love the pattern and the fabric! I think it’s wonderful that you can sell at a local store! May the Lord bless your work!